Everything I’ve ever known since I was young was that groceries came pre- packaged. I never lived in an area where packaged free foods were readily available and promoted as so. Once I started using cloth bags that I sewed and bulk bins became more prevalent in my neighborhood grocery stores and surrounding cities, I started changing my lifestyle and really understanding how conditioned I was to accepting that producing trash was normal. Yes, pre-packaged items are convenient. Yes it would be so much easier to simply accept it, but the damage I know I’m creating for the environment is not something I can accept so easily. If I can make a change and give up a few items, I will. 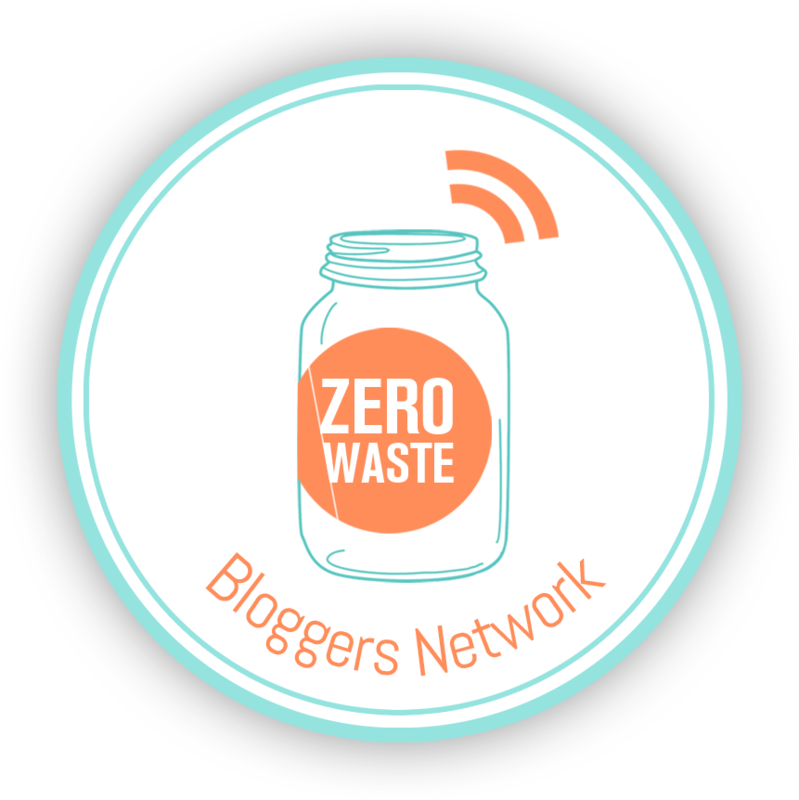 I have to admit, becoming zero waste has changed the way I clean and approach cleaning completely. It takes me less than five minutes to wipe down my bathroom counter and clean the bathroom sink. It also takes me less than three minutes to clean the toilet too. Granted, scrubbing the bathtub takes slightly longer, but really it’s still a very simple process. I just apply some Dr. Bronner’s Liquid Peppermint soap or my vinegar and water cleaning combination, then scrub, then rinse off. Cleaning the kitchen is just as simple too. Wiping down counters that are clutter free and rinsing the sink out, are basically all I do. I don’t think cleaning could take fewer steps than what I currently do now. For cleaning the floor, I just run around with my microfiber broom and pick up all the dust and just dump it outside. When I wash dishes, because I don’t really use oil and I’m a vegetarian, cleaning up is pretty quick. All of my food is pretty much water based so it doesn’t really create a sticky mess. I do spend less money now that I’ve simplified my life. It was a bit odd in the beginning, because I was used to spending a certain amount of time in certain stores, and I had a route when I was in each. Like when you go to specific stores and pick up certain weekly or monthly items, you have that path you take from the beginning of your trip around the store, to the very last stop at the check out stand. Sometimes I’d spend hours inside a store, not realizing how much time had passed or would window shop (for no reason at all) and time simply slipped away. Not having that route and creating shorter routes with less time spent “shopping”, actually freed up time in my schedule. I never wander the grocery isles anymore.Now I go straight to the bulk bins and then stop off at the vegetables and fruit, and then I’m done. Sometimes I’ll stop off at the hot foods area, grab a coffee or some lunch (maybe some cookies) too- but then I’ll leave, because shopping while hungry is never good. Still, my time spent in a grocery store is significantly short, even with my stops. When I go buy clothes, because I have a capsule wardrobe with a specific color scheme, I am looking for specific pieces to complete my collection. I don’t get distracted by new trends or “the color of the year”, I simply look for what I need and if I can’t find it, then I’ll leave. For someone who doesn’t enjoy shopping too much, having a capsule wardrobe solved a lot of my issues with shopping. I used to like shopping because I would receive new items, but I always felt exhausted afterwards. The exhaustion was spent combing the racks, which half of the time- never fit my style anyhow. Yet, I did constantly look for bargains and deals. The “what if” factor always kept me looking at more clothes. “What if there’s something good on the next rack?” “What if I missed a good bargain?” With my capsule wardrobe, I know exactly what I need and nothing more is necessary. I really do enjoy supporting local businesses. My city has a high turn over for restaurants and stores in my city’s downtown area, and it’s disappointing to see restaurants leave. For many reasons, they may leave, but a lot of what I hear is that there simply wasn’t enough traffic for them to stay in business. I do feel bad for these businesses because I can’t imagine how hard and costly it must be to start a business and try to sustain it. With only stopping off at the bulk foods sections and the vegetables and fruits, my eating habits definitely improved. I don’t buy cheese and I rarely buy eggs now so I’ve noticed a change in how I feel when I sleep and workout. I still love burritos, sandwiches and french fries but for the most part, my grocery haul is much healthier. I know that by giving up meat, I’m helping the plant (even if it’s just a little bit) and I hope that this planet can withstand the damage that’s been done to it. I try to be conscious of what I use and how I spend my money and time. I pay attention to convenience over effort in every aspect of my life. I may not be on this earth for long, but I hope that I’m doing my part in trying to preserve it for future generations. I like my city, in fact, I really love my city. I’m very blessed to be able to live where I do and have all the luxury of eating a variety of foods and meeting people from all kinds of different cultures and backgrounds. I want my city to stay beautiful and maintain its character and natue, so I’ll do my part to try to keep it that way. With the advancement of technology and new discoveries drummed up in labs. I’m slightly weary of what toxic chemicals are around me. I know that I can’t control everything, but I can pay attention to what I consume and use in beauty products or cleaning products. This point follows along with the point I made earlier that I enjoy simplifying my life and routines. With my newly discovered routines, there’s a pride that goes along with the outcome I’ve designed for my life. It does take effort and the first try of a routine or product may not work, but if you sit down and step back, and analyze the outcome you want- you’d be surprised that you’ll be able to find that comfortable and happy place in your zero waste life. My capsule wardrobe has created a valuable lesson for me in that I cherish each piece of clothing I own; all 30 pieces to be exact. I never looked at my clothes that way before, but now that’s all I see. Each piece has a place and purpose in my wardrobe. Even with my digital books and photos, I really do enjoy not owning a lot of physical items. I still value the digital photos because they still capture a moment in time, but if they were to disappear, I’m not sure how much I’d miss them. The moments captured still happened, there’s just no physical recorded of it happening. I love that I own a surfboard and snowboard and the memories I create with those are far more valuable than any of my sports gear. I love that my bathroom and kitchen cleaning routines are so simple and fast, that I can be rushing to get out of the house to get to work and still be able to clean my bathroom in less than five minutes. I think I like the fluidity of not owning items in my life. I really enjoy streaming Netflix or movies from different internet forums. Owning an item is a commitment and by streaming movies, television shows or even music, it connects me with the world more. With streaming, I can watch and listen to a piece of entertainment, enjoy it, and then let it go. I’m okay with that. I really like that experience each time I go through it. These are the reasons why I chose to start a zero waste lifestyle and why I continue to do so. Don’t get me wrong, I still will produce trash once in a while, but majority of the time, I don’t. A simple life takes time to get used to (as strange as that sounds). I had to be comfortable in how simple my life was becoming but not stay stagnant. With all the free time I had created, I didn’t really know what to do in the beginning of this journey. When you’re used to cleaning your home for three hours and then it cuts down to thirty minutes, it takes some getting used to. I think that’s why I love designing, my mind is always moving textures, shapes, functions and systems around in my head. I still try to be a better participant with this lifestyle each day, and I’ll continue to try new experiences and somehow do it without producing waste. 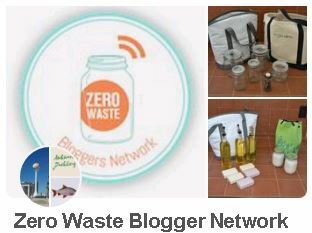 I hope this blog post helped for those who are curious about the benefits fo living a zero waste lifestyle. I really do highly recommend trying it. Absolutely! I’ll definitely post more links as I find them. This lifestyle and the journey into this lifestyle is not a popular one (even among the people I’m around). But the movement is only gaining momentum now and it’s going to keep going. Don’t be to hard on yourself as you go through the book, we were all wasteful consumers at one point too. I’m excited for you on your new journey and how your life will change as you redefine your living space and your purchases. I should put up a post of all of the websites I’ve used, that might be a helpful post for those looking to start a zero waste lifestyle. Good luck on your journey! Please ask me any questions, if you’re stuck or concerned about any issues, hopefully I can find answers for you or point you in a good direction.